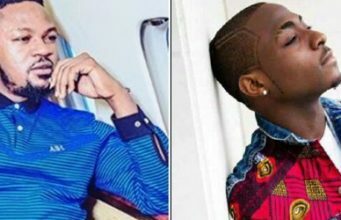 Davido has again addressed the allegations levelled against him that he slapped Kizz Daniel’s manager, Tumi Lawrence at his concert late last year. 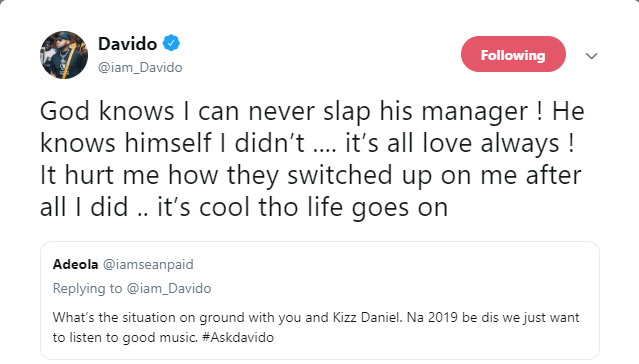 Recall that Kizz Daniel’s manager, Tumi Lawrence at that time, took to Twitter to call out Davido and his team who witnessed him getting slapped and did nothing. 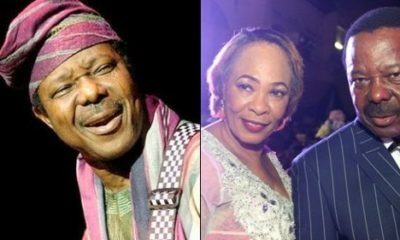 Read previous post here.